of musical colleagues are to perform three outdoor concerts at the fabled Alhambra monument in Granada, Spain. television special, directed by Jim Kellahin and scheduled to air in early 2007. Alhambra grounds, as part of Granada’s “Noches de las Mil y Una Músicas” series. due for worldwide release in November of 2006. 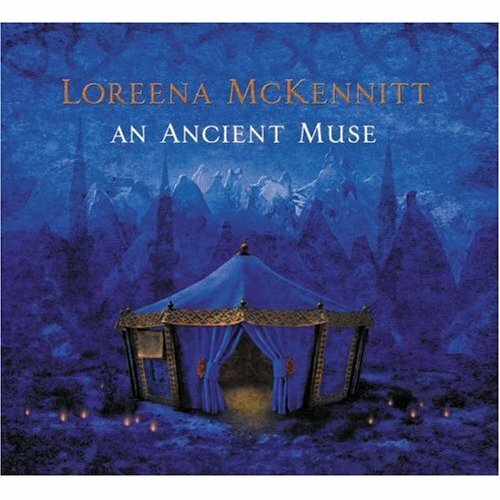 This autumn will see the release of Loreena McKennitt’s 7th full-length studio album, An Ancient Muse, worldwide. 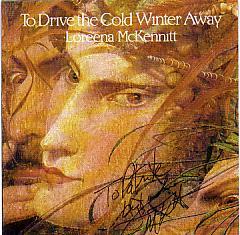 sensibility of Scottish and Irish balladry with musical traditions from Greece, Turkey, Spain and even Scandinavia. 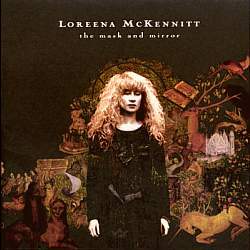 The recording is her first new studio album since 1997’s The Book of Secrets, a multi-platinum success worldwide. caravanserais of the Silk Road and the wine-dark seas of Homer’s Odyssey. a number of other territories, and in collaboration with a further range of labels in selected countries. partners for An Ancient Muse. multi-platinum The Book of Secrets. the train, and allow each encounter to lead to the next." connecting the piece to musician and instrument. 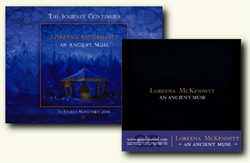 As Loreena McKennitt returns to the concert stages of North America with a series of 26 dates in April and May, Quinlan Road Community members will have the opportunity to buy tickets online before anyone else. Hard on the heels of 21 European dates, the North American leg of the tour begins with two nights at Toronto’s Massey Hall (April 15 and 16) and ends with two consecutive dates at Victoria’s Royal Theatre (May 18 and 19). 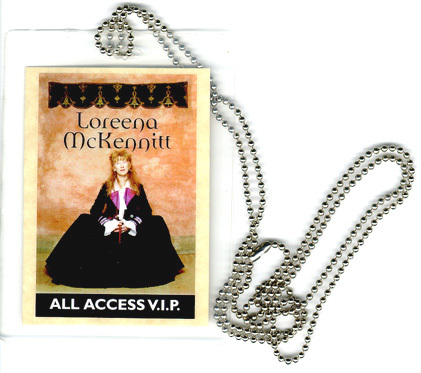 Along the way, Loreena and her nine-piece band will visit three provinces, twelve states and the District of Columbia, bringing both selections from her latest release and much-loved favourites from previous recordings to tens of thousands of concertgoers. In conjunction with local promoters and ticket agents, Quinlan Road is pleased to offer the Quinlan Road Community the chance to purchase tickets during an exclusive pre-sale period. In most cases, this presale period begins today, February 12, and runs until tickets go on sale to the general public on Thursday February 15. See table below for full details including relevant website addresses and the passwords you will need to access pre-sale ticketing. PBS viewers should note that, with the exception of the Toronto, Reading and Scottsdale concerts, a limited number of tickets will also be on offer via local PBS stations as pledge premiums. Loreena and Quinlan Road are happy to offer this opportunity to assist in supporting public broadcasting. Donald Quan and Sokratis Sinopoulos. The North American dates follow a 21-date, nine-country European tour in March and April. 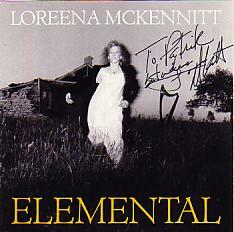 McKennitt will undertake another tour, this time to include more Canadian concerts, in the autumn. to be seen on the PBS network in March. all over the world. 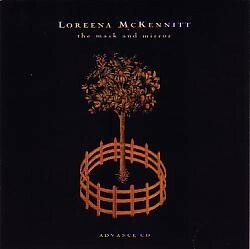 Produced, once again, by Loreena McKennitt herself. several journeys, including one taken via the legendary Trans Siberian Express. to Greece and Turkey, and the resonances of the journeys of others encountered in my research. Mount Athos in Greece to Byzantium were the subject of his book "The Spiritual Meadow." which the author retraces Moschos’ footsteps in the 1990s. tree-worshipping of the peoples who inhabited great regions of a forested Europe now long gone. parade through village streets to neighbouring houses, singing songs and carrying branches of greenery. are taken from an original mummers’ song traditionally sung in Abingdon in Oxfordshire. 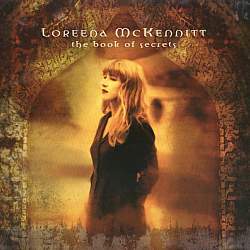 The lyrics to this song tell the story of an elderly Irish monk in the 7th century. brother the responsibility of continuing his work: the copying, and thus the preservation, of ancient texts. the manuscripts handed down to us also display the lively personalities of their long-ago scribes. far-off loved ones, and charming drawings of birds, mice and other small creatures. This piece was conceived with the exotic voyages of Marco Polo in mind. for centuries to come. What wonders did he encounter on his journey? What new sights and sounds? Thinking of his travels, I have incorporated an authentic Sufi melody into the body of my own melody. This is my musical setting of the famed narrative poem by Staffordshire-born poet Alfred Noyes. with literary society and fellow poets such as Swinburne, but also with readers from all social classes. two centuries ago, and the lush, dramatic beauty of the countryside seems to fit Noyes’ lyrics perfectly. such moment was surely the occasion of the young Henry III of France’s visit to "the most serene" city in 1574.
rafts of glass-blowers creating figurines as they floated past, commissioned paintings by masters of the era. Jan Morris describes that scene, in delicious detail, in her book "Venice." I was fascinated by Murat Yagan’s autobiography, "I Come From Behind Kaf Mountain." Sufic sentiments: "Music and singing do not produce in the heart that which is not in it." I travelled by train across Siberia in December of 1995.
for this recording, I was drawn in and distracted by the moving tableau of humanity which passed by my window. At the same time, I had begun to make my way through Dante’s "The Divine Comedy." seemed to haunt me; seemed connected, somehow, to Dante’s words. Ticket/concert information for all Italian dates: +39 2 760 09400.
most recent full-length recording incorporates Spanish, Celtic and Moroccan influences. (as featured in the Paramount Pictures film "Jade") and Marrakesh Night Market. retreat in Ireland and the Church of our Lady in Guelph, Ontario. Ancient Pines (from the NFB film The Goddess Remembered) and Huron Beltane Fire Dance. (from the NFB film The Burning Times).